While Italy is famous for its food, finding somewhere good to eat in the country’s capital is quite a feat. 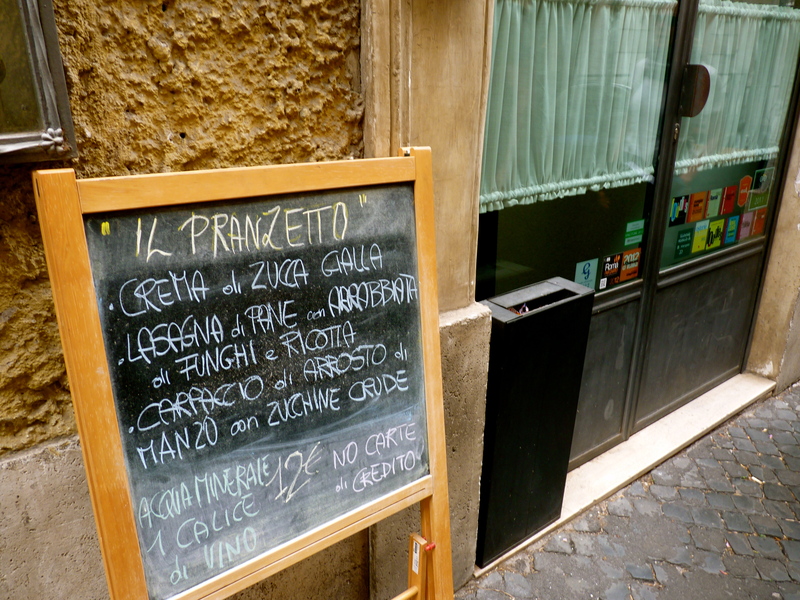 In fact, eating badly in Rome is very easy to do. Many restaurants feed on the tourist trail and are more concerned with getting your money, serving you an excuse of a plate of pasta and hoping to never see you again. 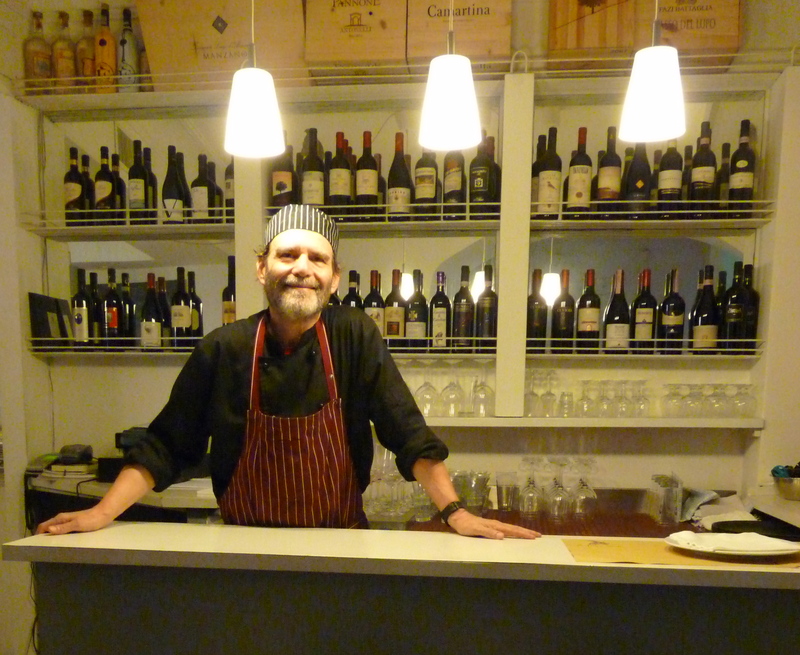 A friend’s boyfriend, who works in a restaurant in central Rome, tells some ghastly tales of mouldy, week-old ragu being used for fresh pastas, house wine being sold as expensive stuff and pests in the kitchen (and I’m not talking about the chefs). Every diner’s nightmare! As for finding authentic italian chefs/cooks (think fat, old italian mamma in the kitchen using her old mamma’s cookbooks) is a fantasy that has long been extinct. Most of the kitchens in Rome tend to use Sri-Lankans, Bangladeshis or other immigrants that will work for peanuts (and usually don’t hold a certificate in ‘elf & safety). There are the hidden rules taught to me by R- avoid anywhere with pictures or photos of food displayed outside, don’t EVER go anywhere with a ‘Menu Turistico’ (no matter how good the deal sounds), always have gnocchi on a Thursday, and never order fish on a Monday (fishermen never go fishing on a Sunday, so it will be old). With all of this in mind, there is immense pressure to find ‘a keeper’ and become ‘a regular’. And, lo and behold, I’ve managed to do that-I’ve (literally) found my golden donkey! 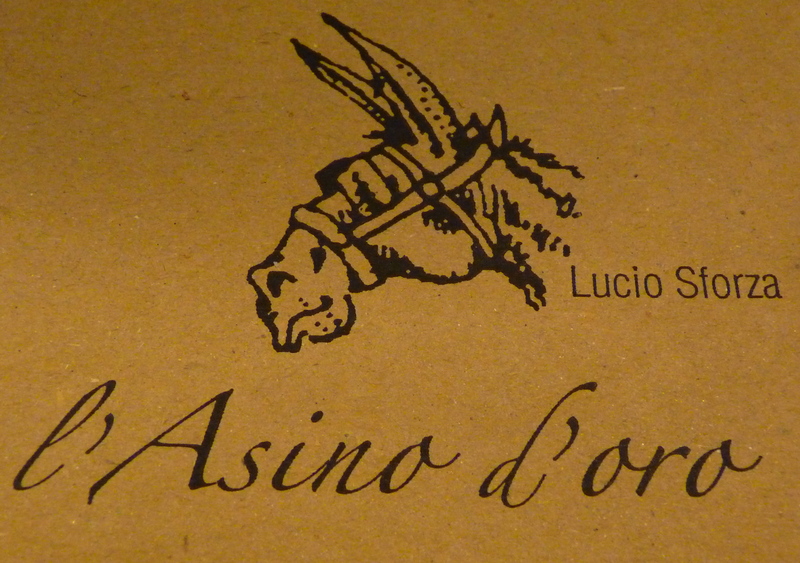 L’Asino D’Oro is ideally located on Via Del Boschetto in the Monti area (minutes from the Colosseum), and is run by Lucio Sforza- as intriguing and distinctive in character as he is in the kitchen. And here, you are guaranteed to taste italian food at its best. Since leaving London, I have struggled to find the deals I once thrived on from TopTable, but in this little Roman gem, lunch is a mere 12 euros for 3 courses with bread, a bottle of water and a lovely glass of vino. For the quality of the food, the lunch deal is a steal. The menu changes daily and the food is always fresh, inventive and surprising. Surprising, in a sense that often things I don’t usually like are served in a way that I find delicious. Apart from the heart warming dishes (think piping hot, spiced pumpkin soup; rich, chunky meat balls served in a bitter chocolate sauce, souffle-like tortino packed with fresh chicory and riccotta, and rustic, hearty lasagna with a fresh fish sauce),the other highlight of the place is the waiting staff. Stefano, with his handle bar moustache, heads the front of house and, though stern and no-nonsense in attitude, will have you feeling like an old friend in no time. 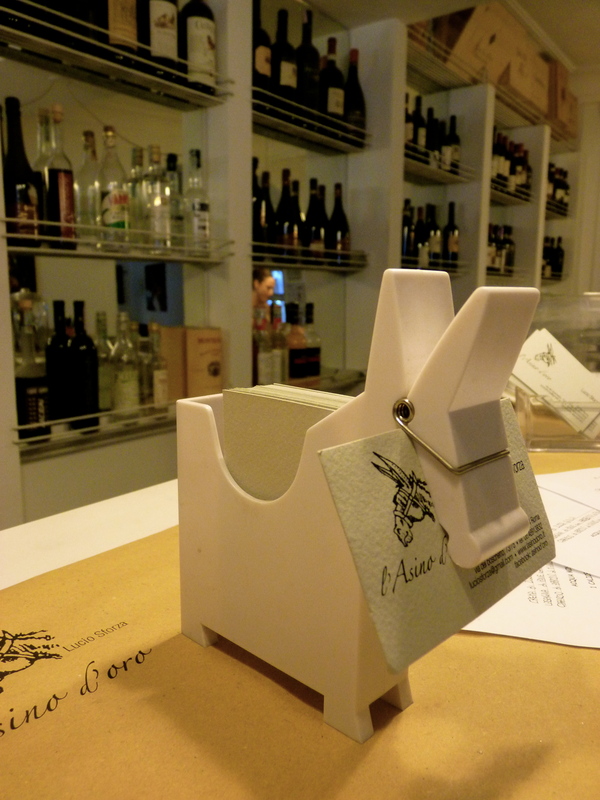 With a golden opportunity to taste italian fare at its best, if you don’t take this one, the only donkey is you! L’Asino D’Oro is also open for dinner (only a la carte), featuring more gamey meats and twists on the traditional italian style. Booking is essential (06 489 138 32) and they only accept cash at lunchtime.